Refugees from the Middle East are greeted by Samaritan's Purse after a dangerous journey to Greece. A small, nine-meter boat approached slowly from the Turkish coast. As it moved closer to Lesbos Island, it seemed to speed up a bit. Orange blobs turned into human forms. Babies could be heard wailing. Mothers too. Suddenly, men were also yelling for help. Thirty, 40, or sometimes as many as 70 people are crammed on each boat. The Turkish smugglers who put them there collect at least $1,000 from each person and shove them into the sea. Many times, no one on the boat knows how to drive it. That’s why this particular one ended up beached 100 yards from shore. 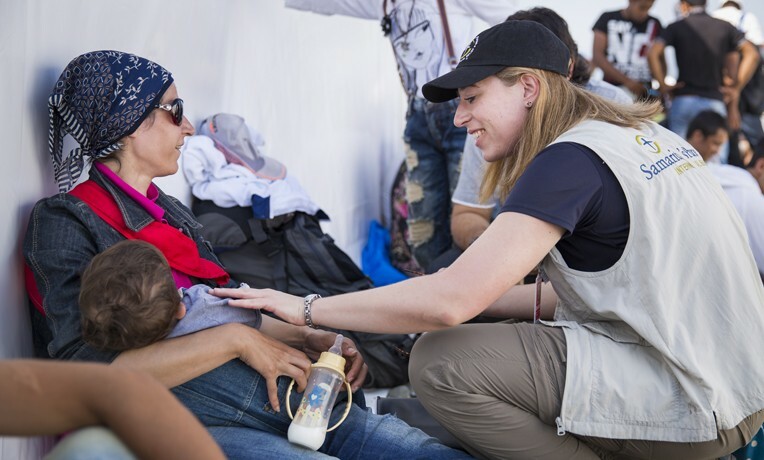 Samaritan’s Purse staff and volunteers are assisting desperate asylum seekers as they arrive on Greek soil. Samaritan’s Purse staff members and volunteers reacted quickly, some swimming out and others taking an abandoned dinghy to rescue people. Aboard the boat were 17-year-old Esraa and her pregnant friend, Safa. They said they left Syria because they had no money and no house left after the devastation of the war. Esraa was traveling to Germany to meet up with her father. Safa and her husband were looking for anywhere safe to settle with their new family. 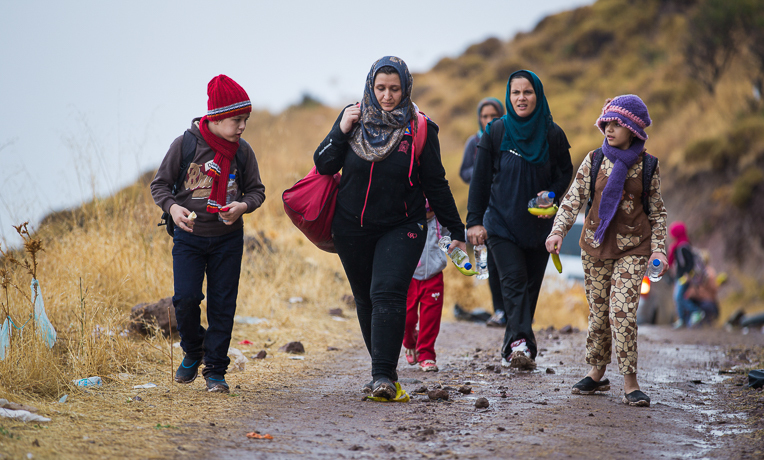 The group approached the top of the hill where Samaritan’s Purse was distributing bananas, crackers, and water, took a few items, and continued the 60-kilometer walk across Lesbos. Once they reached the other side of the island, they’d register and take a ferry to Athens. Esraa and Safa arrive in Greece. As they walked away, a second boat appeared, this time on the steep cliff side of the point. People climbed, carrying their babies, small children, and bags. As they neared the top, they said, “Please,” extending their children to the Samaritan’s Purse staff above them. They popped up right where the distribution was happening and gladly took food and water. Hagi and Shamilla were a couple from Afghanistan who said that they hadn’t eaten in two days. They shared food with their four young children and three teenage nephews as the oldest nephew, Farhad, told me their story. “At the border of Iran, shot fire, and all of them injured,” he said. The two oldest children, who are legally blind, lost their glasses during the attack. Farhad said it’s difficult to travel with so many children, especially two who can’t see, but they had no choice. A cousin’s father was killed, and he said it was only a matter of time until the Taliban or ISIS came for everyone else too. They are hoping to settle in Germany. Samaritan’s Purse has set up a distribution point on one of the most remote points of the island where boats are landing. In several locations, buses are carrying people across the island. But at this abandoned lighthouse, people are arriving with no aid and a far walk ahead of them. 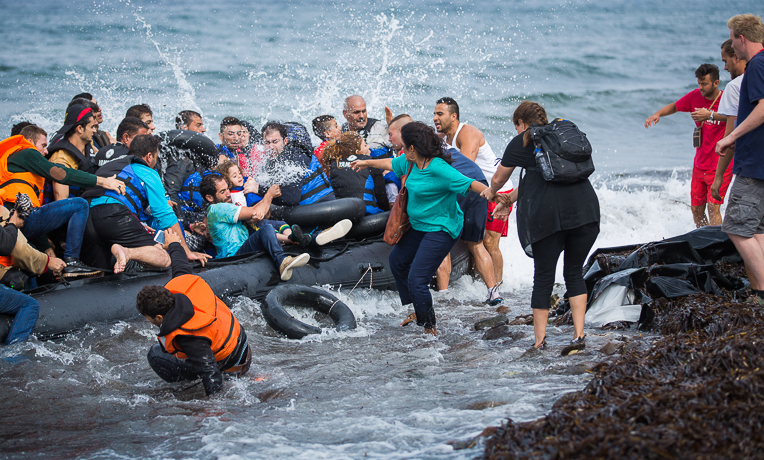 Samaritan’s Purse provided food and water to refugees as they set off across the island. 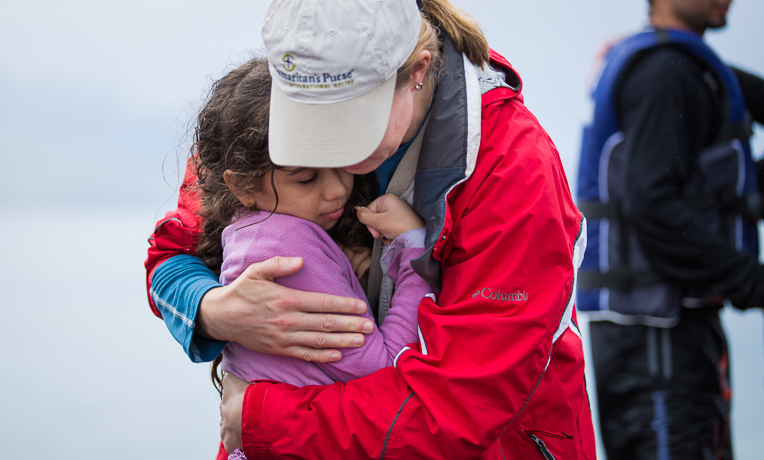 Thousands of refugees continue to arrive daily on the island, and Samaritan’s Purse staffers remain there to receive them—offering food, water, and clothing. Please pray for the safety of those crossing the sea. Pray that they will be able to walk across the island once they arrive, and that they will find peace and security in a new life through Jesus Christ. 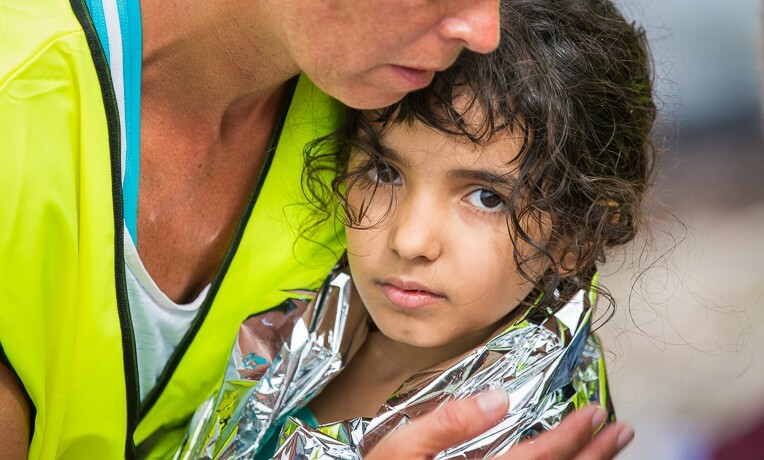 Samaritan’s Purse has personnel on the ground working in multiple locations in Greece as well as in Croatia. 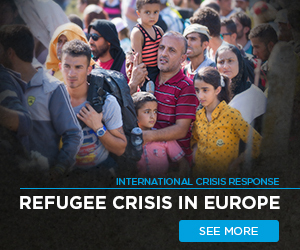 We’re also partnering with Christian organizations in several other European countries. In all areas, we have distributed more than 20 metric tons of food to more than 27,074 people and 39,152 water bottles. More than 14,000 backpacks filled with clothing, hygiene items, food, and other useful items have been given out to women and children.